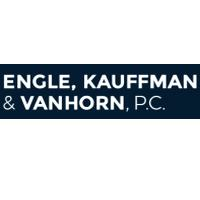 Engle, Kauffman & VanHorn, P.C. is a law firm designed to meet client needs and achieve results in a highly personalized, professional setting. David and Jill Engle, a husband and wife team opened the law firm in 2004 to maximize their legal service to clients after years of practice in other settings. They were joined in 2013 by Rose Kauffman, who has practiced in State College and the central Pennsylvania region for over 25 years. In 2016, Stephanie VanHornjoined the firm, adding criminal defense as a practice area and taking on the family law practice as Attorney Kauffman transitions towards retirement. Located in State College, the personal injury attorneys at Engle Kauffman assist accident victims and their families throughout Central Pennsylvania to obtain the fair and just compensation they deserve. Located in State College, auto accident lawyer David Engle, has been assisting car accident victims throughout Central Pennsylvania recover maximum compensation for their injuries since 1989. Located in State College, truck accident attorney David Engle, has been assisting truck accident victims, and their families, throughout Central Pennsylvania to maximize their compensation for injuries or wrongful death since 1989. At the law firm of Engle Kauffman, we represent residential and commercial real estate owners, developers and tenants throughout Central Pennsylvania involved in legal disputes.